Alex Wong/Getty ImagesJeff Bezos, Amazon CEO. Amazon has lost $US250 billion in market value since it became a trillion dollar company in September. 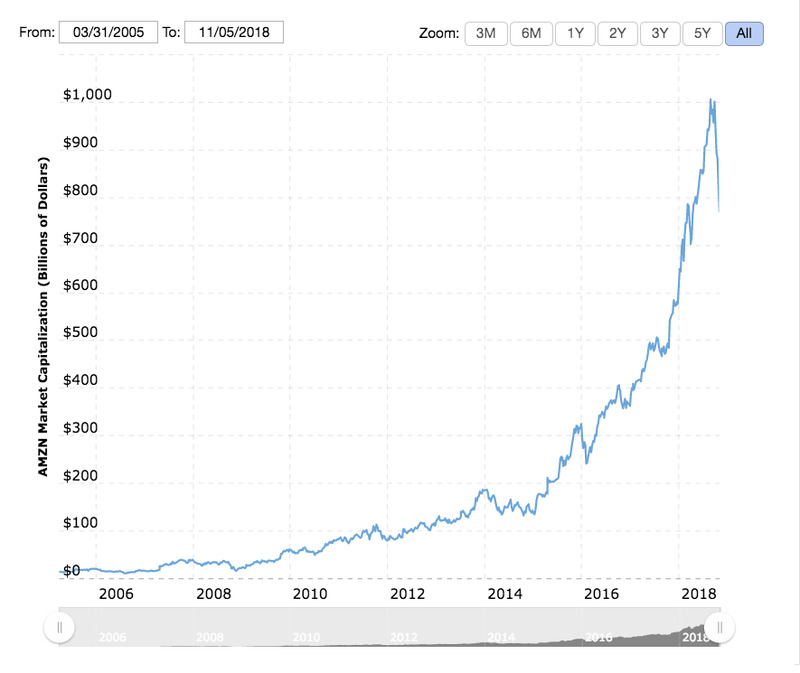 It took Amazon 18 years to reach a valuation of $US250 billion after first going public in 1997, Fortune pointed out. You can follow Amazon’s stock price live here. If the giant scale of America’s first trillion-dollar companies Apple and Amazon can make movements in their stock price seem a little abstract, then Fortune provided some timely context on Monday. The publication pointed out just how marked Amazon’s share price decline has been in recent weeks, with a little bit of history about the online retailer, which first went public in 1997. After hitting the heady heights of a $US1.02 trillion valuation on September 4, when it closed at $US2,039.51 a share, Amazon has since taken a heavy hit. The company’s share price was down to $US1,538.88 on Monday, tearing around $US250 billion off its value in an eight-week period. Amazon’s quarterly results on Thursday missed analysts’ expectations and ignited worries that the tech company is facing stronger competition. 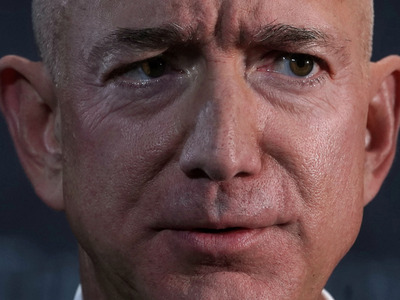 Amazon’s stock has fallen 14% since then – its worst two-day decline since 2014, Reuters said. It relinquished its spot as the second-largest US company by stock market valuation to Microsoft. Some $US200 billion has been wiped off the value of FAANG companies – Facebook, Apple, Amazon, Netflix, and Google – since Thursday, as a stream of Q3 earnings trickle in.